2010 really is shaping as the year of the tablet computer, if for nothing else because of the soon-to-be released Apple iPad. 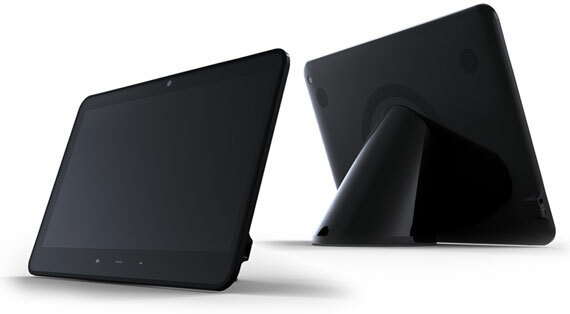 But the iPad was neither the first tablet, nor will it be the only one this year, not by a long shot. Which brings me to the ICD Vega. The Vega has sprung from the boffins at the Seattle-based technology design company Innovative Converged Devices (ICD). 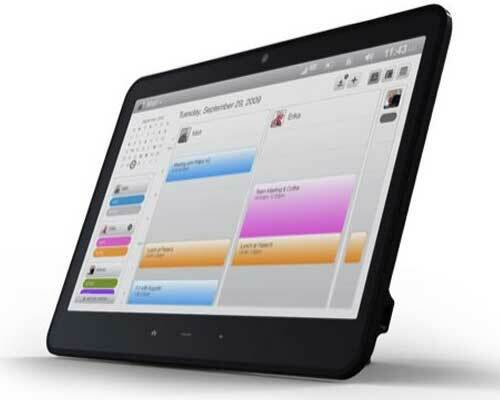 It runs on the Android operating system, initially the Eclair 2.0 version, a 15.4 inch, resistive touchscreen, tablet computer. It is charged via a dock that magnetically attaches to the screen, and when attached makes it look very much like a desktop device. Ripe for the attachment of a keyboard to escape the ergonomic difficulties of anything like extensive typing using the touchscreen interface. Battery life from the 5.3AH 7.8 volt 2 cell Lithium Ion battery is 4 hours, with a full charge taking 2 hours. This firmly places the Vega, in its first incarnation, as an around-the-house hybrid tablet/desktop, and not a road warrior. The ICD Vega is due for distribution in the first half of 2010, through “Tier 1 carriers across North America, Europe, Latin America, and the Middle East.” In the UK the Vega will be exclusive to T-Mobile. Pricing will not be announced until closer to the launch date. And availability in other parts of the world? Rebecca Priebe, the Chief Creative Officer at ICD, told me by email that “There are definite possibilities of our devices launching in other countries outside the UK and USA but we are not at liberty to disclose any specifics at this time.” A definite maybe, really. What has been confirmed by ICD is that 7 and 11 inch versions are to follow.